Welcome to the monthly Health and Human Rights Media Watch. Members of the Health Advisory Council monitor relevant organizations and websites and compile a list of important news and issues which are summarized here. These newsletters will be posted on our website and archived as a resource. If you wish to join this effort, contact contact.alicerothchild@gmail.com. Please feel free to share the newsletter with your colleagues and communities and encourage them to join the JVP Health Advisory Council. Thanks to all who have contributed! Results from UN Independent Commission of Inquiry on Gaza. The UN Independent Commission of Inquiry on the 2018 Gaza protests presented its conclusions, according to which 183 Palestinians were killed by Israel, including 35 children. It states Israeli soldiers intentionally shot children, journalists, the disabled and health workers who were clearly not a threat. 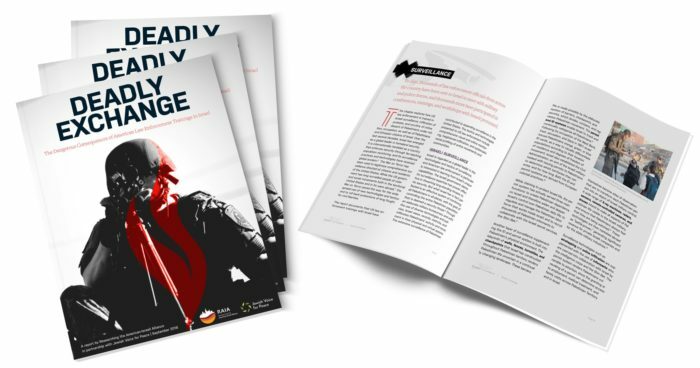 The report confirms ongoing reportage of excessive and illegal force committed by the IDF against civilian protestors. Fears of new Gaza invasion rise as Israel launches airstrikes and mobilizes along border. Israel has bombed Gaza for a third day in a row and mobilized dozens of tanks, raising fears that Israel could launch another invasion. The latest Israeli airstrikes came earlier this morning, after Hamas announced it had reached an Egyptian-brokered ceasefire with Israel. B’Tselem accuses Israeli investigations of being propaganda. Ahead of the UN Human Rights Council meeting today (Monday, 18 March 2019) on the findings of the UN commission of inquiry into the 2018 Gaza protests, B’Tselem has issued a position paper explaining that Israel’s promise to “investigate” 11 incidents in which protesters were killed is mere propaganda. Two protestors were killed in Gaza on March 22, 2019 by Israeli forces, who targeted medics and ambulances with gas grenades. Almost 200 Palestinians were also injured, two critically and more than half by live fire. In addition to condemning the violence by the IDF, the UN passed a resolution against Israeli’s occupation of the Golan Heights one day after Trump tweeted his support for the occupation. Gaza has been affected by both the series of Israeli offensives that have destroyed basic infrastructure and the closure imposed on it. Al-Haq documents severe deterioration of health and safety conditions in temporary housing as reconstruction efforts in Gaza continue to stall. The resulting health and lives of Palestinians, especially children, are increasingly placed at risk. Large numbers of casualties raises concerns about excessive use of force in Gaza. Since 30 March 2018, the Gaza Strip has witnessed a significant increase in Palestinian casualties in the context of mass demonstrations and other activities along Israel’s perimeter fence with Gaza, as part of the “Great March of Return” (GMR). Additional casualties have resulted from hostilities and access related incidents. The large number of casualties among unarmed Palestinian demonstrators, including a high percentage of demonstrators injured by live ammunition, has raised concerns about excessive use of force by Israeli troops. Opposition to Hamas crackdown over economic protests. Several human rights organizations and political factions have denounced attacks on protesters by Hamas security forces in the Gaza Strip, who had demonstrated for several days against the increasing cost of living and tax hikes. Report on Gazan women’s wheelchair karate team. Live sniper fire at the Gaza border has injured more than 6,500 protestors, many of whom have been hit in the legs. Living with the consequences of amputations or other injuries and disabilities is a lifelong challenge for survivors. In spite of international assistance, the struggling health system cannot meet the needs for physical, rehabilitative, and psychological support. WHO: More than 97% of Gaza’s water does not meet quality standards. 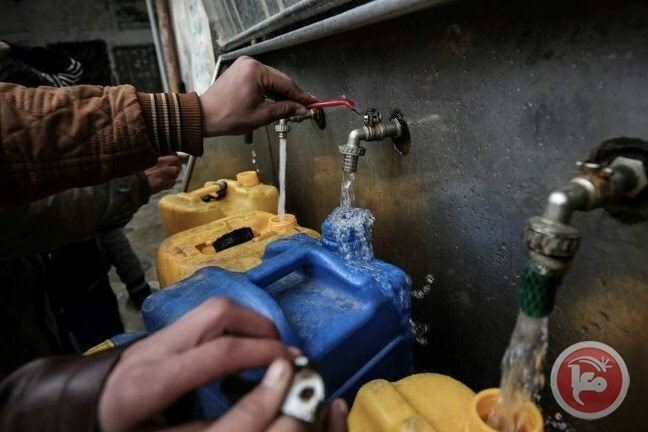 More than 97% of the water pumped from the coastal aquifer in the besieged Gaza Strip does not meet the water quality standards of the World Health Organization (WHO), leading to the depletion of groundwater reserves with the groundwater level in the coastal aquifer reaching 19 meters below sea level, the Palestinian Central Bureau of Statistics (PCBS) and the Palestinian Water Authority (PWA) said in a joint press release on the occasion of World Water Day. WHO delivers medical supplies to enhance trauma care in Gaza. The World Health Organization (WHO) delivered essential medicines, medical consumables, and equipment contributed by the European Union to respond to the growing trauma and emergency care needs in the besieged Gaza Strip. According to WHO, the supplies delivered will be used to enhance the ability of the 10 trauma stabilization points (TSPs), run by Palestinian Ministry of Health in Gaza and the Palestine Red Crescent Society (PRCS), to provide life- and limb- saving care to those injured during demonstrations and protests. Hospital centered surveillance of births in Gaza, Palestine, 2011-2017 and heavy metal contamination of the mothers reveal long term impact of wars. Prevalence of preterm, low birth weight and birth defects increased significantly since 2011 in Gaza, Palestine. No change in known co-factors of reproductive health justified this rise. Two military attacks in 2012 and 2014 introduced novel risk factors for outcomes at birth: contamination by teratogenic and carcinogenic heavy metals weapon-remnants, ongoing impoverishment, and impaired rehabilitation of waste management. It was previously shown that mothers exposed to military attacks had higher metal load than those unexposed and mother’s heavy metals trans-pass placenta. We investigated association in time of heavy metal contamination and reproductive health using hospital-based surveillance (2011-2016-2017) of births, accompanied by assessment in 2016 of metal load in mother and newborn hair. Mother’s housing proximal to unmanaged waste predicted preterm birth and birth defects, and these women had highest load of heavy metals. Poor diet predicted low birth weight. Circumstances prevent investigation of heavy metals molecular impact(s) during fetal development. Annexation of Golan Heights by Israel is disputed by Syrians living there and denounced by Arab Human Rights Centre in Golan Heights. Since 1967, and especially since the annexation in 1981, the people of the Golan have risen up several times against Israel’s annexation. The Syrian people in the Golan Heights have reiterated, time and time again, that this is Syrian. It’s not a disputed land. It’s not a contested land. This signals that the United States, again, doesn’t give any regard to human rights or to international law or to international humanitarian law. The decision sets a dangerous standard that glorifies systematic human rights abuses, legitimizes illegal aggression and occupation, and endangers peace in the Middle East. They also condemn planned Jewish settlement building in the Golan. Legal coordinator of Addameer given additional administrative detention. Two days before the end of his administrative detention, the Israeli Military Court in Ramallah added six more months to the sentence of Ayman Nasser, legal unit coordinator of Addameer. Palestinian human rights advocates such as Nasser face systematic repression with the purpose of disempowering and demoralizing Palestinian civil society. United Nations Relief and Works Agency (UNRWA) launches new program on International Women’s Day. On March 8, 2019, International Women’s Day, UNRWA launched a gender parity initiative to improve the organizational culture for its own staff as a means of responding more effectively to the needs of the refugees they serve. Letter in The Lancet calls for relaxation of visa restrictions of medical personnel wanting to work in the OPT. heart surgeons, transplant surgeons, and pediatric hematologist/oncologists), Israeli physicians who wish to help are banned from travel in the occupied territories, and the Palestinian authority has a policy of non-cooperation with Israeli institutions; furthermore, it is almost impossible for Palestinian doctors living in the diaspora to obtain a visa to work in Palestinian healthcare institutions. They call for Israeli clinical academics and other medical leaders to join them in calling for relaxation of visa restrictions. Israeli prison authorities have imposed new signal-jamming devices and violently cracked down on detainees in recent weeks. According to rights groups, some 20 prisoners in the Naqab prison have been injured, including seven who were hospitalized and three whose wounds have been described as serious. Local rights groups have called on the International Committee of the Red Cross (ICRC) to intervene and ensure protection of prisoner rights, including the right to life and health. Israeli pharmaceutical firms test medicines on Palestinian prisoners. Israeli Professor, Nadera Shalhoub-Kevorkian, said that the Israeli authorities issues permits to large pharmaceutical firms to carry out tests on Palestinian prisoners, according to the Middle East Monitor news outlet. Shalhoub-Kevorkian spoke at the Columbia University in New York City and revealed that while conducting a research project for the Hebrew University, she collected data confirming Israeli authorities permit large pharmaceutical firms to carry out tests on Palestinian prisoners. Health of Palestinians ignored in debate at the Israel National Institute for Health Policy. Biopharmaceutical companies have foundations that donate to Israeli settlements. Pfizer, a major biopharmaceutical company, is one of the US corporations whose foundations have made donations to nonprofits that fund Israeli settlements in the West Bank. A campaign has begun to oppose corporate contributions to pro-settler organizations.